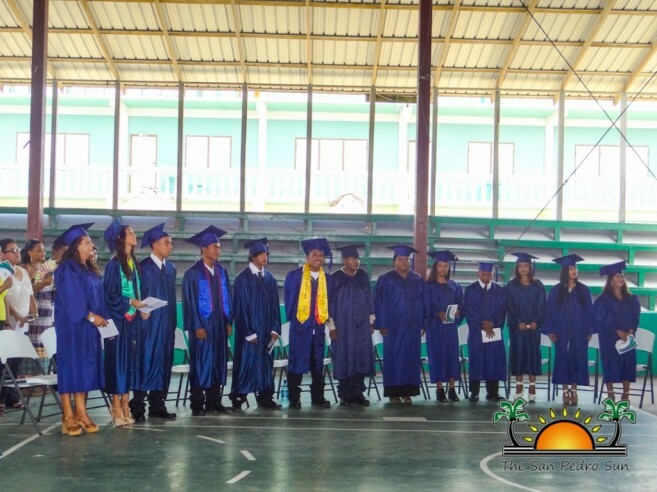 Home » Education » Island high school students celebrate graduations! 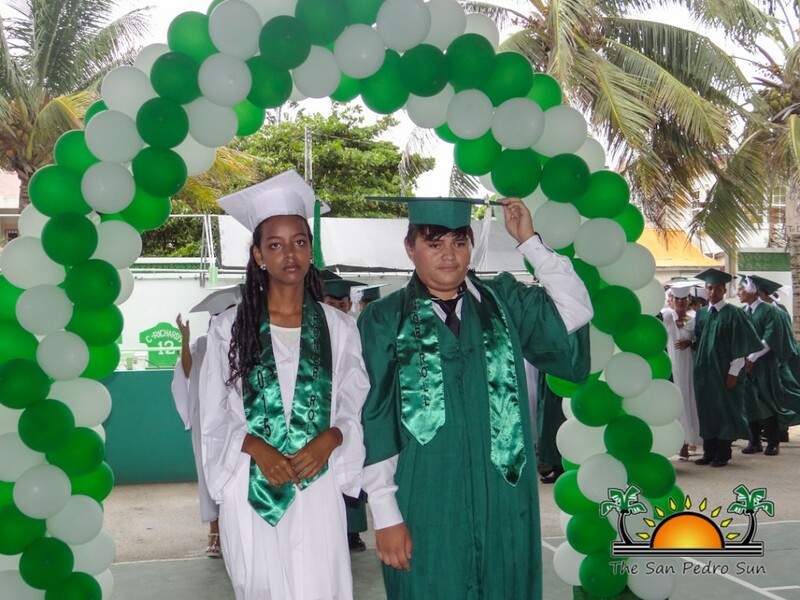 Over a hundred students from San Pedro Town and Caye Caulker Village have completed their secondary school education, and they were proudly celebrated over the weekend. High School Commencement Exercises were held to present students with high school diplomas, as proud family and friends looked on. 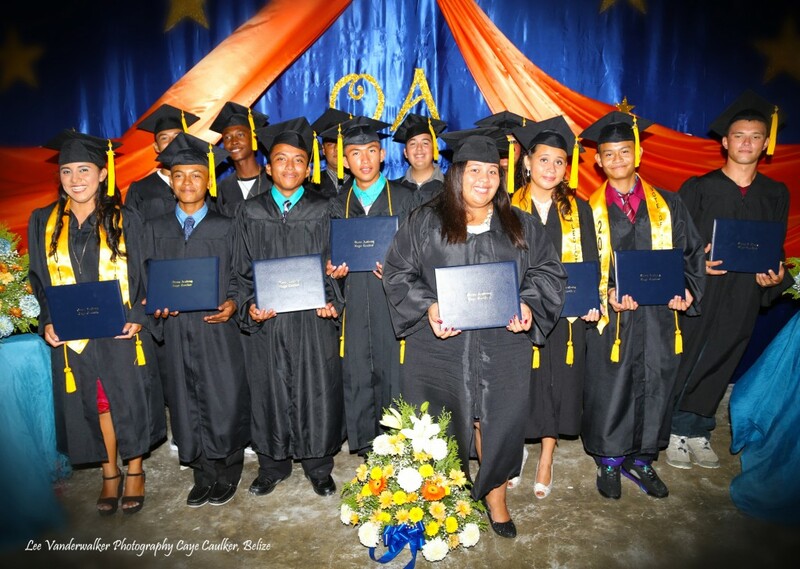 Caye Caulker’s Ocean Academy Class of 2015 was first to graduate on Friday, June 12th. 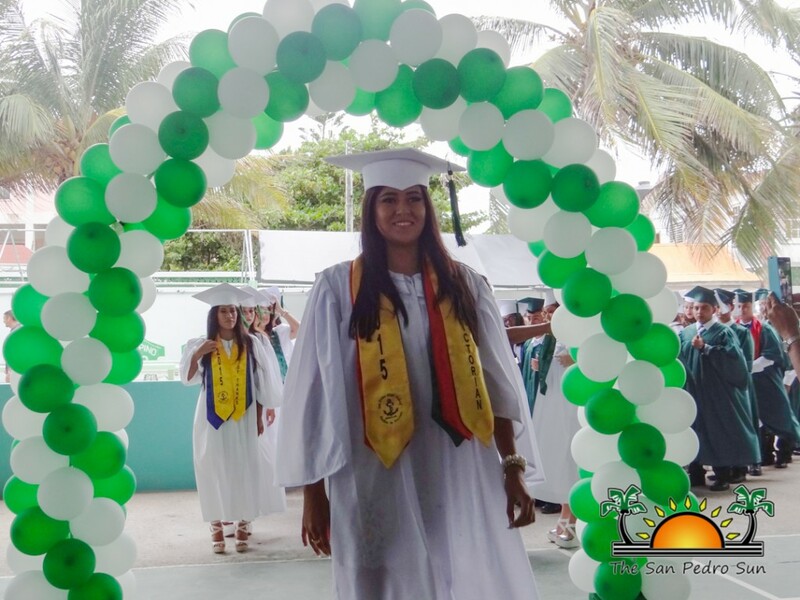 13 students marched to the strains of Pomp and Circumstance before family, friends and honored guests at the Caye Caulker Community Center. The Ceremony was led by Wilfredo Feliz, Poetry and Drumming teacher and English tutor at Ocean Academy. Guest speaker for the night was Katie Numi Usher, an artist working with The Image Foundation, and Heidi Curry delivered the Founder’s Speech. 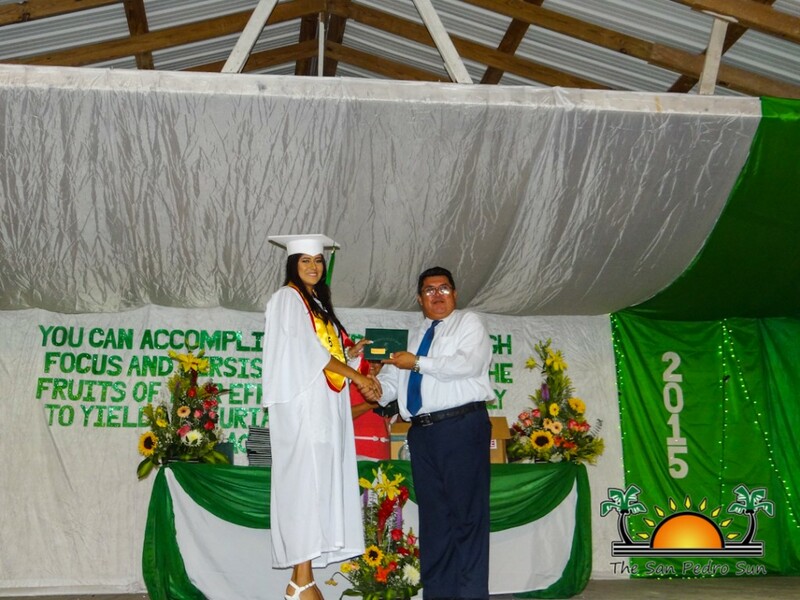 Leyvi Florian received top honors as class valedictorian, while Saira Reyes Ruiz was salutatorian. 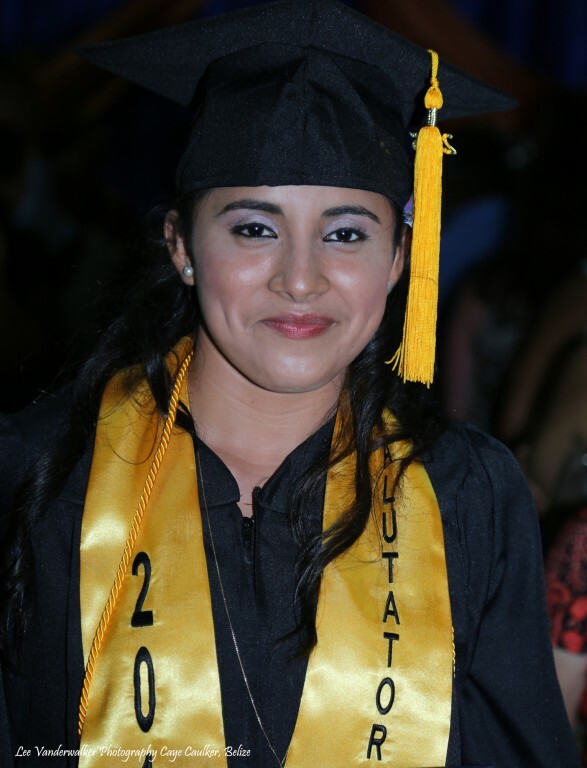 During the ceremony, a moment of silence was held in loving memory of Adriana Cal, a member of the graduating classed that passed away prior to the ceremony. The ceremony concluded with the Vote of Thanks given by Fernando Novelo. 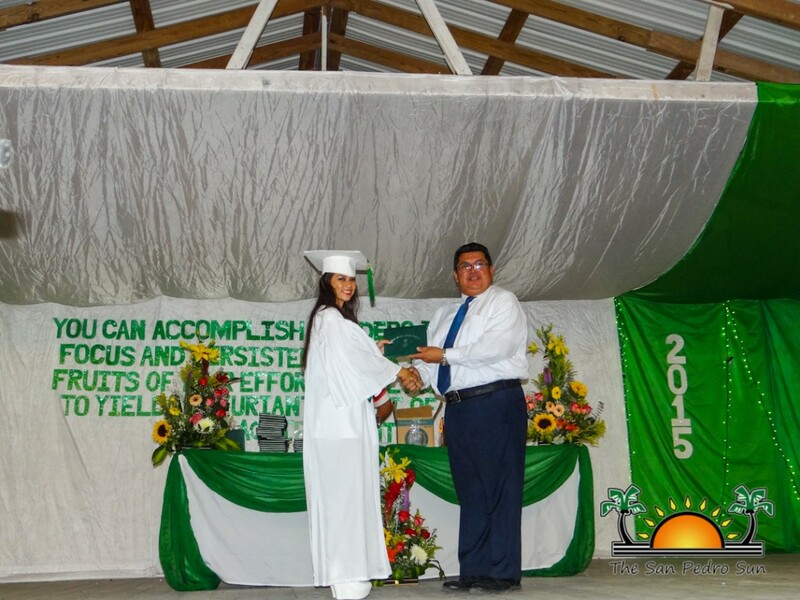 Graduates presented small gifts to parents, and a slideshow of great memories was shown. 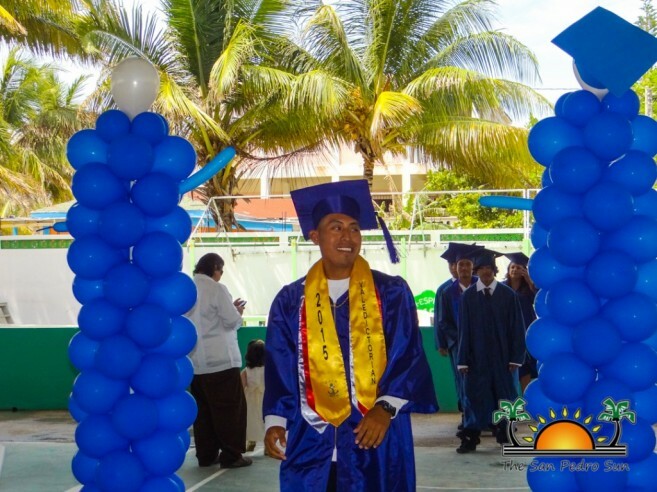 Ocean Academy Class of 2015 was comprised of: Ramiro Aldana, Spenser Betz-Eisenberg, Adriana Cal (posthumously), Leyvi Florian, Kyra Jones, Buddy Magana, Anisa Martinez, Eugene Martinez, Aidan Novelo, Fernando Novelo, Saira Reyes Ruiz, Alexis Rodriguez, Daniel Sanarrucia and Kevin Tzac. 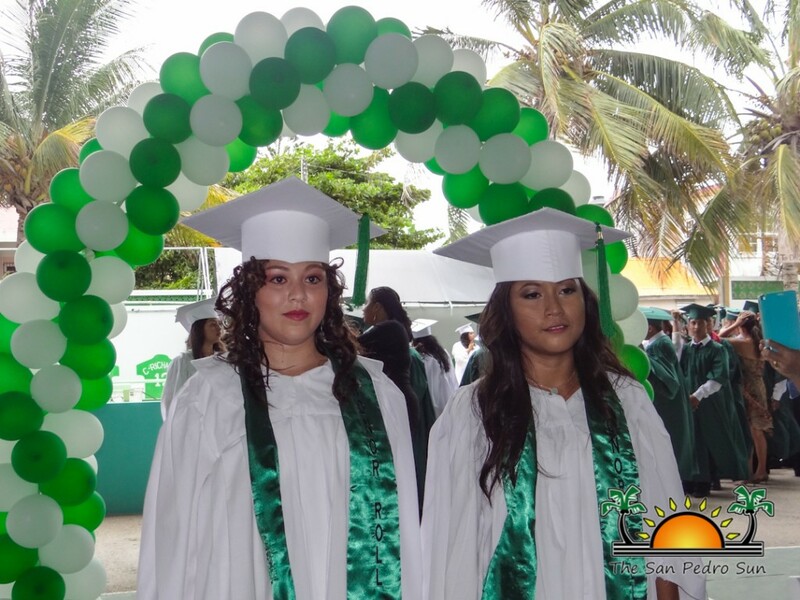 83 students graduated from the San Pedro High School (SPHS) on Saturday, June 13th at the Angel Nuñez Auditorium. At 5PM, the overjoyed students marched up the aisle before a proud crowd of family and friends. 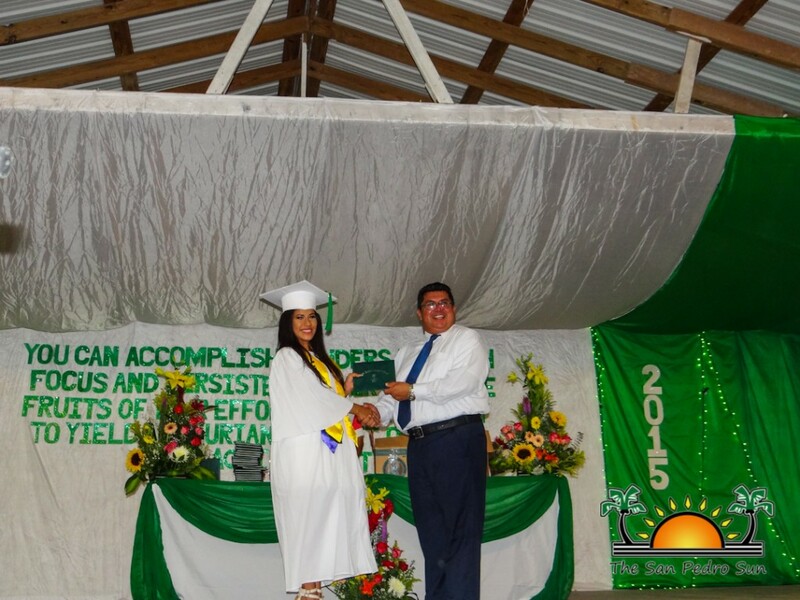 Fellow graduates Fara Naza and Samuel Dominguez delighted the crowd as the mistress and master of ceremonies. Following protocol, Brittney Garbutt delivered the salutatory address. 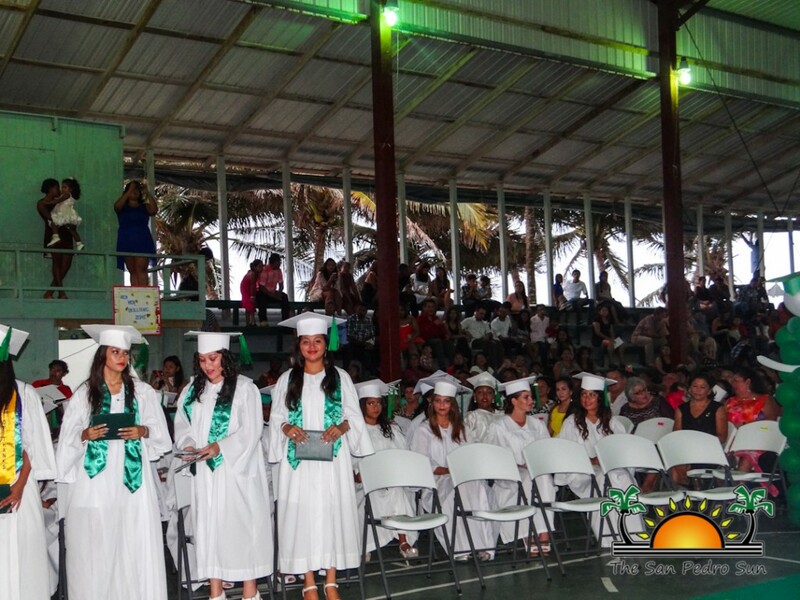 Diplomas were then presented by Acting Principal Maria C. Flota and SPHS Chairman Aljemiro Paz Jr. Paul Kelly was the guest speaker for the ceremonies. 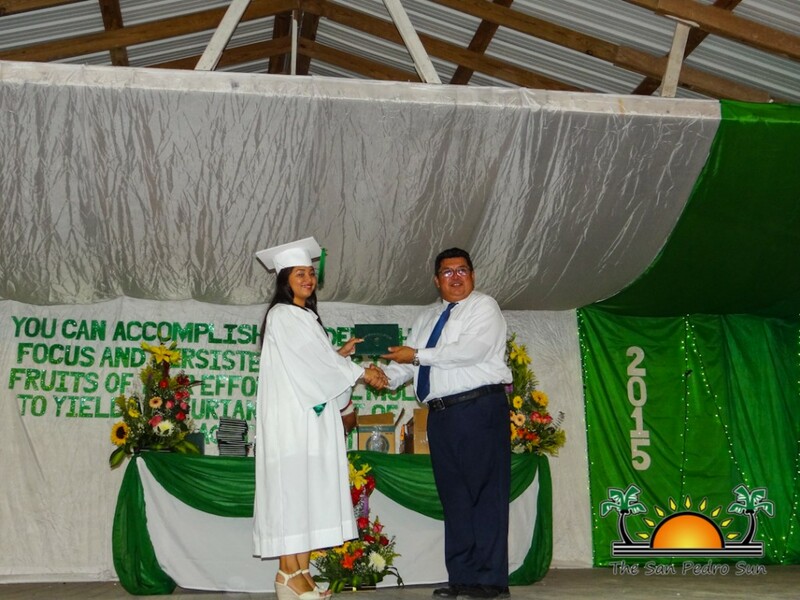 Obtaining the highest overall marks for the graduating class was Magdaluz Guerrero, who delivered a heartfelt valedictorian speech. 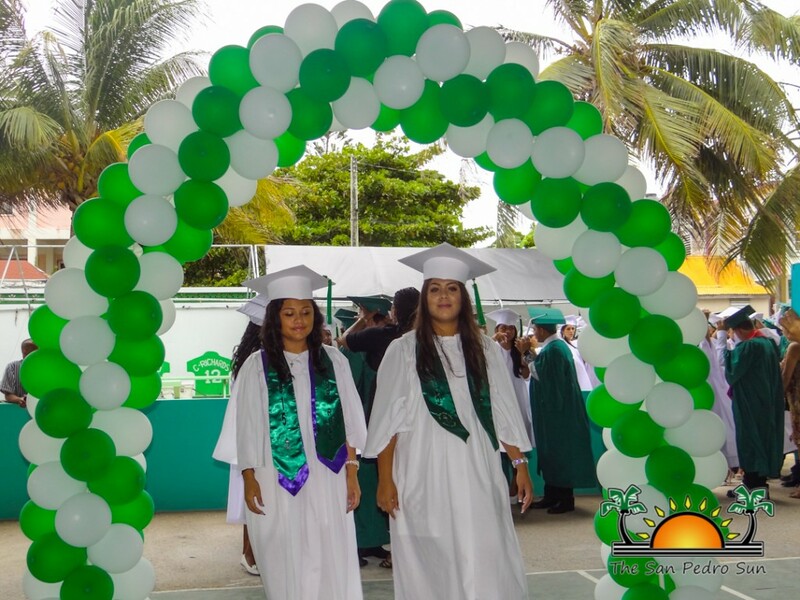 The traditional rose ceremony was led by Damaris Moralez, while Magdaluz Guerrero, Kelcy Alamilla and Yanery Salezar carried out the candle light ceremony. The graduates then sang their rendition of “Fly” by Avril Lavigne, before the ceremony ended with the Vote of Thanks by Jacqueline Hernandez. SPHS Class of 2015 comprised of: Wayne Cadle, Jose Chimal, Marcy Cuellar, Brittney Garbutt, Daniel Gonzalez, Brian Guardado, Magdaluz Guerrero, Rosanna Guerrero, Stephanie Gutierrez, Jacqueline Hernandez, Paul Ico, Adilser Mai, Selvin Martinez, Fara Maza, Damaris Moralez, Gabriel Nunez, Marielie Nunez, Gineli Oliva, Neslen Rivero, Daniela Salazar, Heber Santos, Carlos Soto, Trisha Strokes, Hui Yu Tan, Cristy Tzul, Tyron Usher, Jose Vasquez, Kyrone Vasquez, Herman Wade, Kaila Wade, Shanairy Xiu, Gabriel Zetina, Kelcy Alamilla, Miguel Arroyo, Amaru Barreto, Milane Cadle, Joselyn Caliz, Venancia Choc, Samyel Dominguez, Celia Edwards, Abner Figueroa, Efember Gabriel, Leroy Hill, Giomar Marin, Amir Melendez, Stephany Mendez, Chelsea Munuz, Shakira Nunez, Sabrina Paz, Francisco Pineda, Damien Pollard, Jessica Ramirez, Edgardo Ramos, Fatima Reyes, Randy Rivero, Alez Roache, Julissa Trejo, Yoreli Trejo, Kaira Vasquez, Jamie Velasquez, Ethel Villatoro, Kayla Zetina, Jerry Ack, Jailine Ancona, Kian Ancona, Merari Arevalo, Adrian Chan, Justin leal, Mario Leiva, Kristy Medrano, Aylin Nunez, Cristian Oliva, Delson Paguada, Micheal Peralta, Amy Requena, Anthony Rivero, Yanery Salazar, Egar Sanches, Jordan Stuart, Dora Trejo, John Harvey and Jomar Stuart. 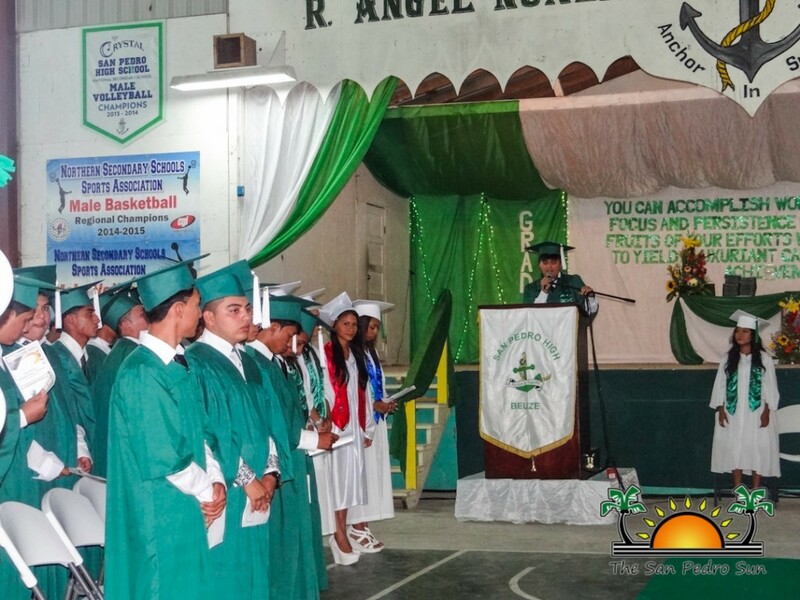 The third high school to hold commencement exercise was the San Pedro Adult Continuing Education (SPACE). On Sunday, June 14th, at 10AM 15 students received high school diplomas from the night division managed by the San Pedro Junior College. 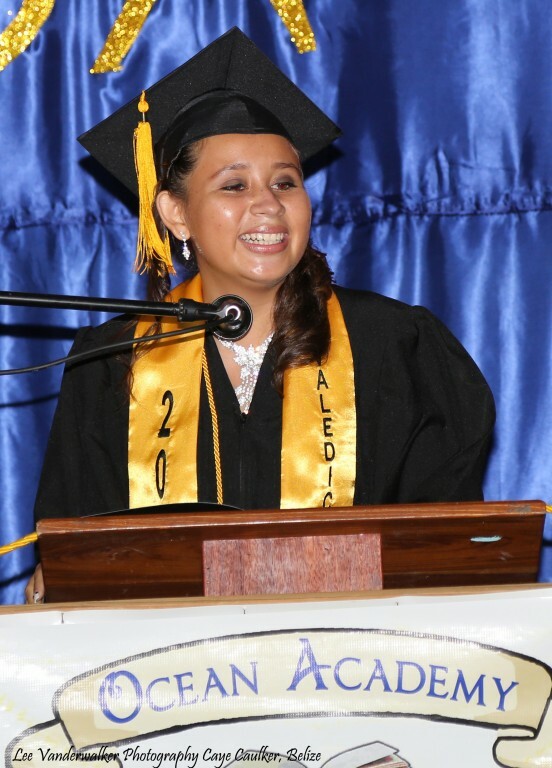 Ceremonies at the Angel Nunez Auditorium were led by Alex Noralez, under the theme “A lesson learned in Time”. Estrella Trochez led the invocation. Iris Selguera delivered the salutatory address, followed by the Chairperson’s report by Jose Aljemiro Paz and the guest speech by Nigel Encalada. 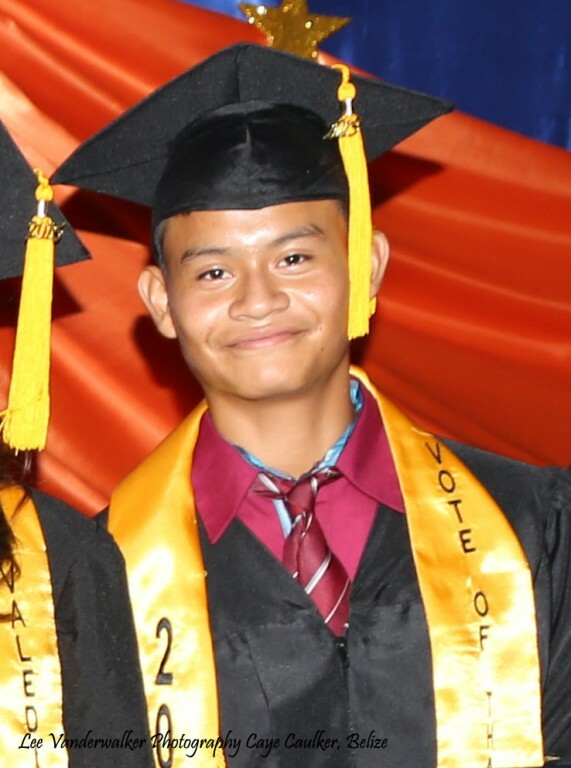 Emir Gaspar was the class valedictorian, while Waldin Tellez delivered the Vote of Thanks. 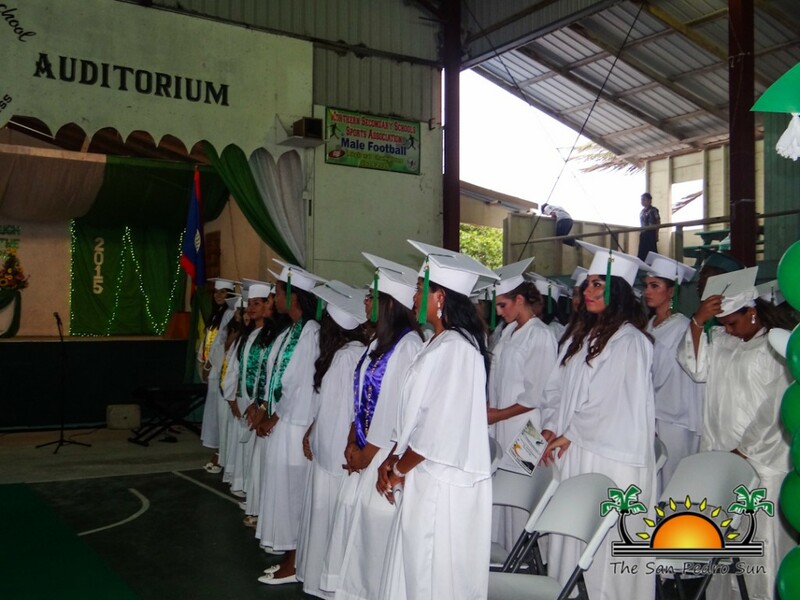 Following the distribution of diplomas and awards, the class sang their rendition of “Time of Your Life” by Green Days. SPACE’s Class of 2015 comprised of: Jessica Casasola, Alma Hernandez, Estrella Troches, Flavio Montejo, Liseth Alvarado, Marfa Sosa, Isaac Edwards, Edwin Hernandez, Emir Gaspar, Waldin Tellez, Elieser Anariba, Iris Salguero, Nuria Quinteros, Yenmy Martinez and Asuncion Vasquez. Congratulations to all graduates and best of luck as you embark on a new journey!